We are committed to our community in a variety of ways – from supporting the positive development of children and youth through investment in education, to supporting the health of our business community through investment in economic development and business networks. The Lincolnton Optimist Club has been serving Lincoln County for 4 decades. The organization provides a safe and fun environment for children to learn and enjoy the sport of basketball. The goals of the club are to provide quality youth development, to promote good sportsmanship, and to have fun! Rhyne Financial has supported the Lincolnton Optimist Club for over 20 years through sponsorship, organizational board service, and coaching. 2018 marked Jody's 21st year of coaching youth sports through Lincolnton Optimist, many of which were spent coaching multiple teams. The program continues to grow each year, hitting a record number of youth served this past season at 450 children. 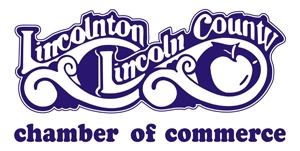 With more than 700 member businesses, civic groups, churches, industry and individuals, the Lincoln County Chamber of Commerce is committed to making Lincoln County a great place to live and work. Rhyne Financial is a proud sponsor of the Chamber, and Jody has served in numerous leadership capacities within the organization. The Lincoln Economic Development Association (LEDA) seeks to foster an economic environment that promotes retention and expansion of existing businesses, attraction of new businesses, and an improvement of the overall business climate in order to enhance the standard of living by creating more and better jobs for the citizens of Lincolnton and Lincoln County. The Lincoln County branch of the YMCA opened its doors in the year 2000. True to its tenets of promoting youth development, healthy living, and social responsibility, the “Y” serves a critical role in the health and well-being of our community. Our “Y” provides programs for people of all ages and all walks of life. Rhyne Financial has been a committed supporter of the YMCA in Lincoln County since its inception, starting with the fundraising campaign to launch the branch in 1998-99. Jody Rhyne served on the Board from 2000-2010 and began serving again in January 2017. He also supports the organization as a member and regular user, financial supporter, and community advocate. 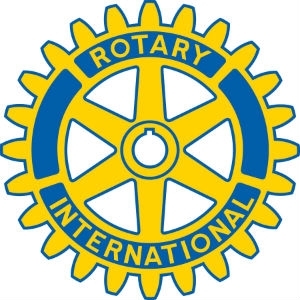 Rotary International is an international service organization whose stated purpose is to bring together business and professional leaders in order to provide humanitarian services, encourage high ethical standards in all vocations, and to advance goodwill and peace around the world. Its motto is “Service Above Self”. Jody Rhyne has been a member of the Rotary Club of Lincolnton since 1998, having served as Secretary, President-Elect, and President. He currently chairs the Interact Committee. This committee is responsible for coordinating service projects with the local high school’s Interact Clubs. They also direct the annual Apple Festival 5k to raise funds for the Rotary Club of Lincolnton Scholarship Fund. Jody and his wife Ann are Paul Harris Fellows within Rotary International. 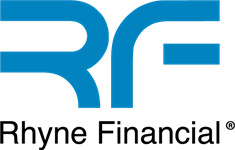 The Rhyne Financial-sponsored “RF8k “road race was an annual event held on the third Saturday in October. Designed to raise money to support the Lincoln County Public Education Foundation, the race raised a total of $35,000 from 2011-2015 with every dollar donated toward making technology grants available to the K-12 school system. The purpose of the foundation is to provide leadership ability and other support for extended educational opportunities, in particular the implementation of technology in the classroom and to foster a community-school partnership in preserving, maintaining, and improving public education in Lincoln County.